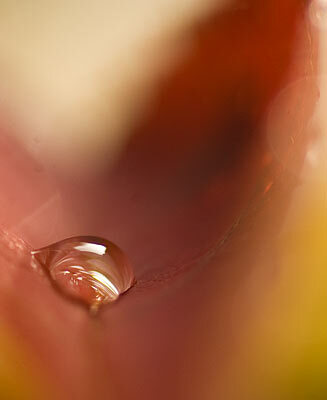 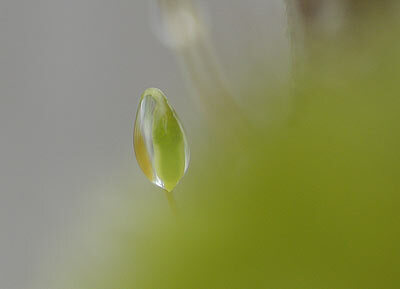 When we peer through our macro lens at the close-up world, one of the most fascinating items is the water droplet. 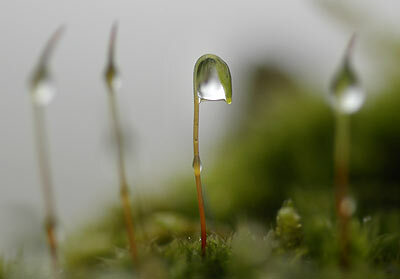 We find them in the morning dew, dripping off surfaces after a thaw and collecting on spiders webs or car bonnets following a rain shower. 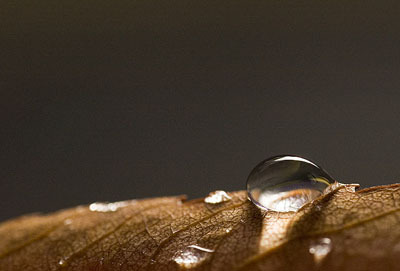 The raindrop acts like a tiny magnifying glass and can be photographed as a lens, with a distant subject appearing focused in the droplet, or as reflecting dome, with the light and shade bent around the mirror surface. 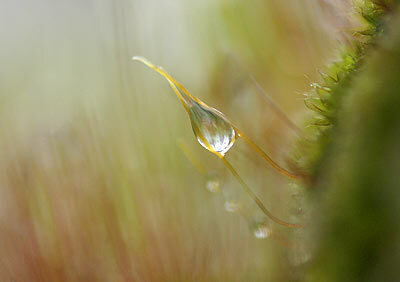 This brief collection provides a lush sample of the kind of situations you will find waterdrops. 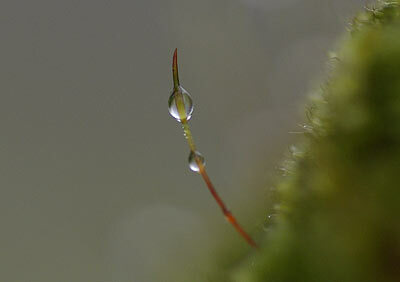 You do not need a macro lens either, there are plenty of accessories that can be ued to go this close. 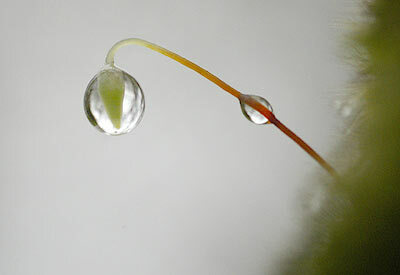 Check out the guide I wrote on www.macrobellows.com. 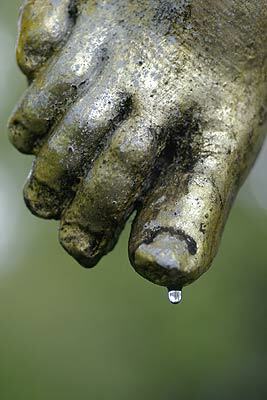 Waterdrop on the foot of a statue. 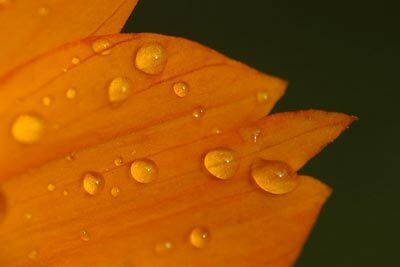 3Close ups of rust on yellow diggers.